The statuesque principal dancer Zenaida Yanowsky retires from the Royal Ballet after 23 years at the end of this season. It’s a rather lovely parting gift for the choreographer Liam Scarlett to have created his latest piece on her – the first time the pair have collaborated. And 'Symphonic Dances' makes full use of Yanowsky’s imperious, commanding presence on stage. 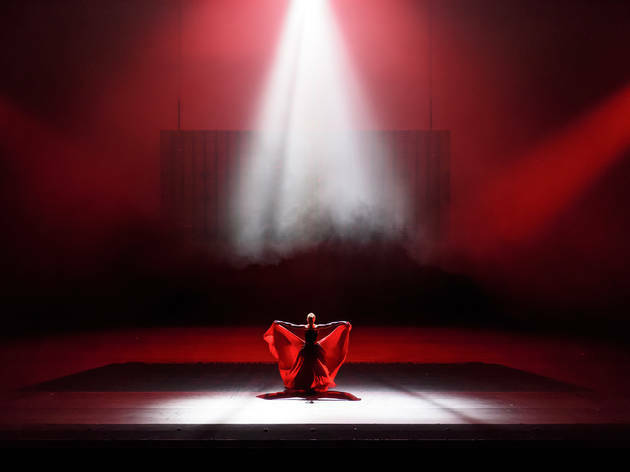 She sweeps into view swathed in a voluminous red skirt, bathed in red light on a haze-filled open stage, and proceeds to hold court over the rest of the cast – another Red Queen to add to her list after her role in 'Alice's Adventures in Wonderland'. Scarlett, best known for his narrative works such as 'Frankenstein', has gone abstract here, using Rachmaninov’s lushly romantic 1940 Symphonic Variations, with its three distinct movements, to build up a portrait of grand, sweeping passions. The second, waltz, movement has all the men bare-chested and in skirts. As they flock and flutter, trying to gain Yanowsky’s attention as she stalks the space (now with her endless legs bared), they bring to mind first the suitors around Marilyn Monroe in a Hollywood musical number, then the male swans of Matthew Bourne’s 'Swan Lake'. A less welcome association comes from the odd floating light panel that is the only adornment on stage – the key inspiration, oddly, seems to have been Kanye West’s Glastonbury set. The rest of this mixed bill is, well, mixed. 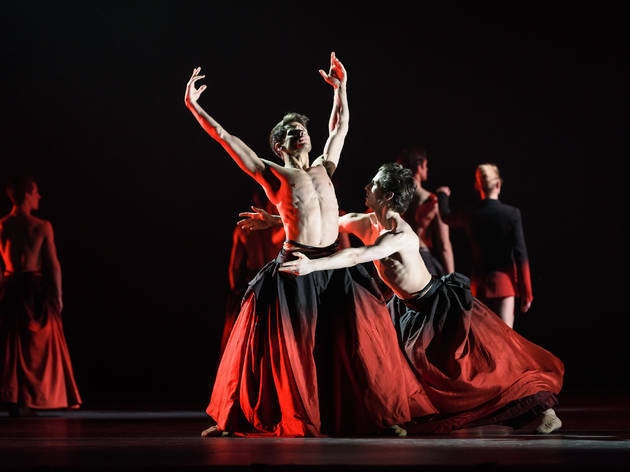 Christopher Wheeldon’s 'Strapless' returns and, although its narrative structure is still a bit woolly, it’s a tremendous vehicle for Natalia Osipova, supremely pouty and perky as the society woman with everything, before scandal reduces her to a ravaged wraith. William Forsyth’s 'The Vertiginous Thrill of Exactitude' must be one of the most fiendish 15 minutes you can dance on a ballet stage – a full-throttle hurtle through complex classical technique that is supposed to be presented with a brazen insouciance. Steven McRae and Vadim Muntagirov, in raspberry leotards, took full advantage of this prime peacocking opportunity. But with two of the three women dancers having been replaced at short notice, the female contribution was, unsurprisingly, nervous in the face of the blistering Schubert score. No such nerves from Marcelino Sambe and Francesca Hayward, who presented Balanchine’s ten-minute 'Tarantella' with so much bubbling joy and dazzling ability they actually made you want to giggle.